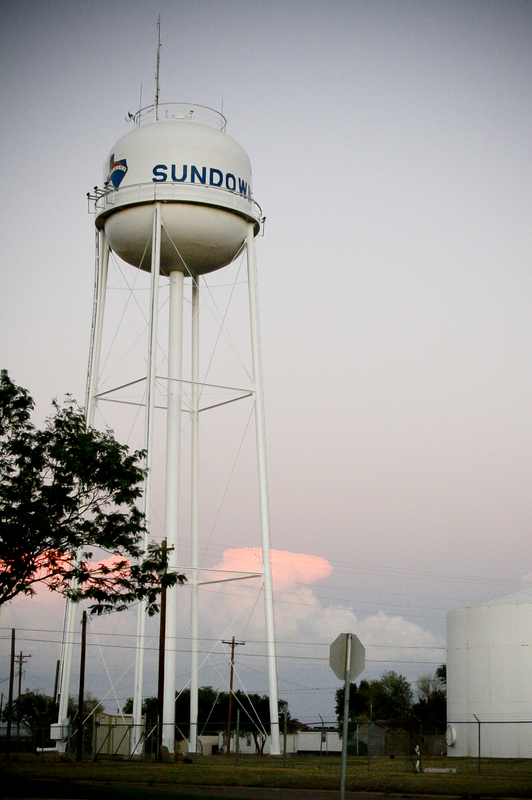 Sundown, Texas is a little town of around 1,500 in population sitting in the middle of the Llano Estacado. The town is off the beaten path – meaning you have to purposely drive to it to get to it. This small rural West Texas town is in an economic crisis due to poor governance. First, you can never base a budget on sales taxes revenues. These always fluctuate and are driven by the economy. Second, city services are being systemically eliminated with the EMS, public library, and city pool to save on monies. Instead of cutting jobs – the city management should have figured out ways to cut other budget items to save the jobs in this tough economy. Third, you do not have a city council and city management outright lie to a tax paying resident that the city pool has been fixed and will be open come the summer and then turn around and tell a reporter something completely different two days later. Fourth, you don’t keep a 9-hole golf course in operation, which only benefits a majority of the city council and mayor, as well as a few other people and has consistently been run in the red for years at $100,000 or more every year. This has always been the biggest money drain on the city. Yet – it’s kept open because the city council wants it. It’s never had any economic benefit. It only benefits the men sitting on the council playing golf every day. Then there is the water factor – how many gallons of precious water would be saved if the city were not watering the golf course just for a few? The golf course could be repurposed for affordable housing, a bigger city park, etc. Fifth, for a city, to be in such an economic crisis why did its Economic Development Board (EDC) Board and council vote to move forth to help build a gym in the city? Taxpayer monies will help fund this gym, yet the city will have no EMS. Does that make sense to you? The city council, city management nor EDC Board understands that they are dealing with taxpayers’ monies. They have to be held fiduciarily accountable for every last cent. They are the trustees of taxpayer monies to not freely spend freely on items not needed, i.e., new trucks because city employees keep wrecking them. Granted the biggest downfall is the citizens not holding the council and city management accountable for all these decisions. They only speak up after the fact and the few that do, expecting more from the council, city management, and EDC are casually dismissed or are yelled at. Just because, “that’s the way it’s always been done” which is a statement heard over and over is proof there is no true concern for the town or it’s citizens wellbeing, almost indicating an air of laziness. This town needs changes on many governance levels because without change Sundown will go deeper into a hole where not only a few lives are endangered because of lack of EMS, but the whole town will be destroyed. Sundown’s outlook is bleak with its only salvation being the citizens to save it. But will they care enough to step up to the plate and do something about it? 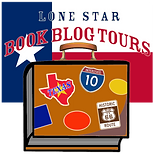 The KCBD story which aired on April 14, 2016. Lived there. Graduated from there. Spray painted that very water tower with “class of 80” back in the day. Life guarded at that ( old ) pool. Family buried there. First class to graduate in the “new” auditorium. I am a paramedic and have been for 28 years. The idea that you are putting a golf course above EMS is irresponsible. You must hold the city government accountable. If you do not, YOU are being irresponsible. When economic changes happen, you have to adapt to survive. It’s what individuals, families, and governments do. Close the golf course. Don’t water it. It’s not going anywhere. WHEN oilfield comes back, it will still be there. Attend meetings. Let your voices be heard. Demand a public audit. I was raised in Sundown..My family was one of if not the first people there.My family has donated the softball park and community building.With that being said,what goes around comes around !It’s one of those small towns and schools that revolves around status and your place on the football team.Past police have had free reign to do as they please,numerous violations of people’s rights and property ..I say there needs to be an audit ..Where is all the money ?Sundown has been one of if not the,highest taxed cities.Again,where did the money go???? This is my hometown, while I can’t say I miss it, it’s still my hometown. I do not find any of this surprising at all. Makes sense, shut down the EMS, why should the people have a better chance of making it when something bad happens. Health isn’t important. Shut down the library, cause who needs to read, learning is highly over rated. But golf, by golly, we wouldn’t dare harm those 9 holes. I feel terrible for the folks still living there after many years, and the new ones who moved there for a better chance. While one can only hope the oilfield rebounds for you, it’s never good to keep all your eggs in one basket. I used to want Sundown to fall into a hole and be gone forever. Now that it’s slowly happening, and I’m older, I don’t feel the same. Good luck out there, tiny West Texas town. I appreciate your comments Dave! As I was reading this excellent article, I was reminded of the similarities between Sundown, Lubbock, and (especially) Washington, D.C. I don’t live in Sundown, but from what I’ve read and heard, there needs to be an immediate recall or vote of “no confidence” in the city management. That’s a beginning at least. No city should allow an inept council to vote for raises, a free home for the emperor, and throwing scarce funds into a bottomless hole in one at the golf course. What happens to the now idle ambulance? I’m not clear as to how an EMS response time of 15 minutes is acceptable any responsible standard! Many thanks Cranston for sharing your comments. As to the ambulance – it will remain in a storage facility in Sundown. Sounds like there’s some house cleaning to do.!! If you want the Police department to be fully staffed then follow their policies. At least it use to be in the policy that the police officers had to be EMT certified. That could save the Sundown Ambulance!!! At least until the city is back on their feet. Sorry if I sound like I’m down on the Police because I’m not. I was just saying that one officer use to do the job and Sundown was booming back then. I’m glad they have a full staff and the crime is down. Are the city fathers still going on a all expense paid “vacation” on the city. I think they called it a meeting. If so it needs to stop. What about getting free water bill? It needs to stop. No more freebies for anyone if the city is going bankrupt. Let the city manager pay rent or invest in the city like all the other city employees. Wish I could run for election. It maybe too late for changes anyway. May God bless all the citizens of Sundown and good luck. Remember your vote can change things if your unhappy. You’ve brought up some really great points with your questions and comments Larry. Thanks for commenting. Thank you for sharing your comments Butch and Roena. My family is from that town and I lived there until I was 5 . That’s when my parents decided it’s time to move on .I currently have an aunt and cousins still living there . My grand parents and other family members have been laid to rest in sundown . It seems sad to me to know that the misuse of city monies to better entertain the council and other town officials is going to be the ruin of what once was a sweet little town . Thank you Clifford for commenting! At one time sundown. Was the richest school district. Due to the oil field business. Especially when Amoco Production was still around in business. The city of Sundown are putting their residents in risk of the EMS service. The city cant depend on Levelland EMS or Fire Dept. Unless the Hockley County starts rural fire departments with EMS together. Make them volunteers fire dept and EMS. Thank you Steve for your comments. Change…. They need to elect a different Mayor. My family is from here and I have been coming to Sundown all my life and remember the city pool a block away from my grandparents house (off Hockley), before they moved it just west of town. People want to play golf go to Lubbock. My grandmother may need the EMS to save her again, and if she has to wait 15 minutes for them to arrive it could mean life or death. Someone needs to step up and change things or Sundown could be no more. Yes the oil industry will bounce back in the future, but to cut things out of the budget because people don’t think they need it is beyond abbsord. If I was able to run I would and I would change things back to they way it was. The Roughneck would be back, pool open, library open and golf course would be gone. The parks would be restored to their original luster and Sundown would be great once again. Totally agree on change, Eric. Thank you for your comments. The golf course has always been an endless money hole. The debt of the golf course is much more than what it would cost to run the EMS and the city pool. If the kids don’t have a place to go then why should the adults have a place. Fair is fair. Also, i find it interesting that the city manager is also getting a salary for running the EDC. Why is he allowed to have a pay raise. Notice that his letter said nothing about giving up his extra salary from the EDC! Hiring some high school kids to work for the summer would actually be economic development. Thank you Joe for sharing your comments. It’s interesting to note that former city managers never got compensated for running the EDC – it was always apart of their main jobs being the city manager. Left out the part about the individuals that were in the EMS positions that never got certified as per the agreement that they made with the city to begin with to get those jobs. The city let them ride for 3 years and they never got the certifications required as promised so of course that service was the first thing to go because of the liability that it became with unqualified individuals in those positions…..at least that’s what the city wide memo to the general population of Sundown Texas said. Actually, the city letter stated on the EMS: “Other factors have affected this decision including volunteer attrition and burnout, and a lack of properly trained and certified volunteers over the past two years despite our repeated attempts to provide training and certifications.” If training was the most important item then the city management needed to find others to help manage the EMS. No public notice was ever given asking for volunteers or trained EMS personnel. Don’t talk about the Holy Grounds (Golf Course). Ha Whay don’t they sell it and start charging the city fathers to golf there. Lets cut the Police force back down to one and let his wife dispatch for free like it use to be. You got a Constable that’s wanting to be a cop and he’s already got a vehicle. Lets quit giving the city manager a free house. I gave the city several ideas many years ago but nobody wanted to make the changes! They should have accepted a prison…that would bring in taxes, motels, jobs and lots of business. I even ask them to give away several city lots that the city owns with restrictions that the new owners build a home on it within a year. That would have brought in tax revenue, people, kids, and more income. Nope we don’t want a prison and we don’t want to give away our land. Larry – thank you so much for your comments here they are appreciated. Thank you so much for sharing your dead-on comments Brad. It’s not the opinion of the author to see this town die. Yes – we do need more than one police officer. Sounds like the golf course needs to go & before EMS or other ‘critical Svcs’. Take over the council. They sound like their ignorant and short sighted, but I’ve seen that before. So correct Rudy. The city does need to change – only with change will good hopefully come out of it. Thank you for your comments. Affordable housing? That comment just shows how clueless the author is. Since the oilfield is down you can bet there are empty houses and apts all over town. Besides if you are down and out so you need “subsidized ” housing Sundown is the last place you want to be. No jobs for sure. No doctors, no library now, no entertainment unless you want to watch a Little League ball game and one dinky overpriced grocery store. Get real. The affordable housing was a suggestion for the city to turn the golf course into something else than an endless drain of taxpayer monies. As someone who has lived in this town for over 15 years I’ve been privy to how this city is run. Housing has always been tight for anyone wanting to potentially move here. The oilfield will recover at some point, when it does the housing will be needed.